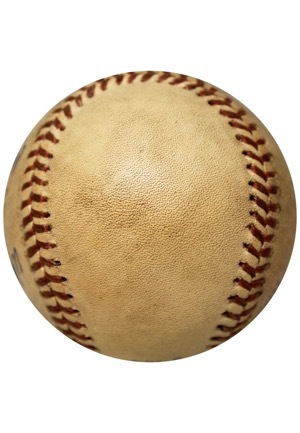 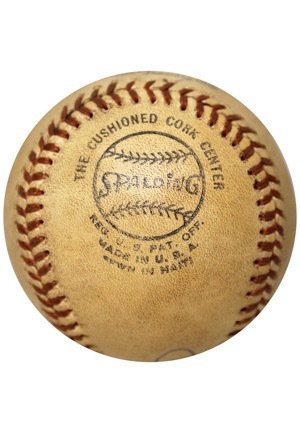 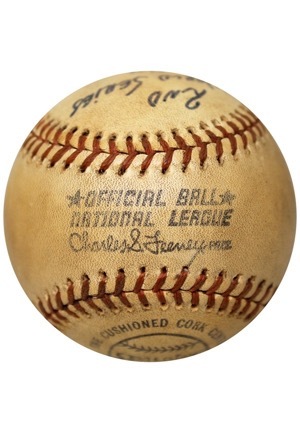 This ONL Feeney baseball was used during Game 1 of the 1974 World Series on October 12, 1974 between the Oakland Athletics and Los Angeles Dodgers in which Hall of Fame pitcher Rollie Fingers won his 2nd World Series Game. 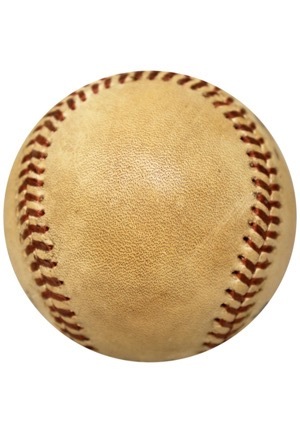 Fingers came in the game with 1 out in the 5th inning and proceeded to pitch 4 and 1/3 innings to get the win. 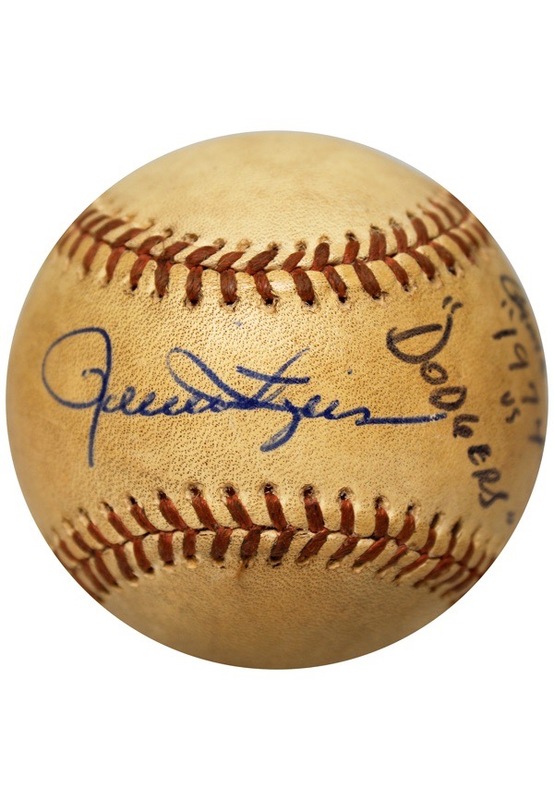 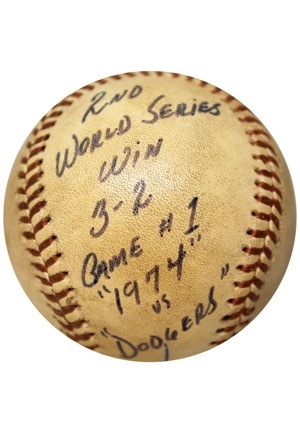 Fingers has signed the baseball in blue ink on the sweet spot with the added inscription "2nd World Series Win 3-2 Game #1 "1974" vs "Dodgers"" and in our opinion the signature rates a 9. 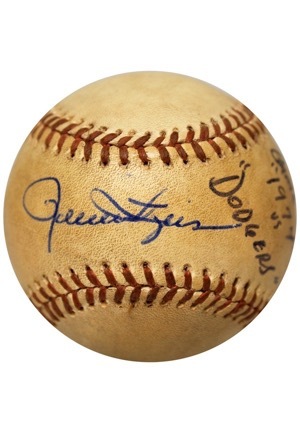 Accompanied by a LOA from JSA and a Rollie Fingers LOA.